I've heard many people talk about the importance of words in a novel. The way we write them in determines their meaning and could add emphasis to the message we convey. Some writers, especially those who like history, would never let an 'okay' slip from their characters or allow them to respond with an 'awesome'. I know I certainly try not to. I've always had a fascination with the English language. One of my dreams growing up was to go to college and get a degree in the subject. Every time I am interested in something, I don't stop finding out as much as I can about it. I guess you can say I endeavor to persevere. 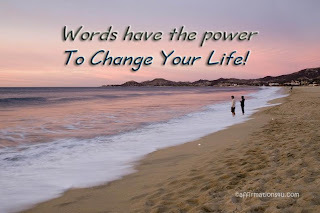 Today, I wanted to show you ten words that have changed meaning over the years. 1) Decimate - The original meaning was "to reduce by one-tenth", now it means "to destroy a great number of". Ex: The population was decimated by a plague. 2) Disinterested - This word used to mean "not interested", now it means "not influenced". Ex: ...a disinterested decision by the referee. 3) Enormity - Some know it as "outrageous or heinous character", now people refer to it as "greatness of size, scope, extent, or influence". Ex: The enormity of such an act of generosity is staggering. 4) Fortuitous - It used to mean "occurring by chance", but now means "lucky". Ex: ...a series of fortuitous events that advanced her career. 5) Fulsome - Which used to mean "abundant, generous, full", but now means "disgusting; sickening; repulsive". Ex: ...a table heaped with fulsome mounds of greasy foods. 6) Ironic - Which used to mean "counter to expectations or what is appropriate", but now means "coincidental". Ex: It was ironic that I was seated next to my ex-husband at the dinner. 7) Literally - It used to be confused with "figuratively", but now it is used "in the literal or strict sense". Ex: What does the word mean literally? 8) Notorious - It originally meant "widely and unfavorably known", but now people use "infamy". Ex: An infamous gambler. 9) Peruse - Which used to mean "to use thoroughly", now it means "to read through with thoroughness or care." Ex: ...to peruse a report. 10) Plethora - Its original meaning was "overabundance; excess", but now it means "abundance". Ex: ...a plethora of advice and a paucity of assistance. Of course, all these words are listed in the dictionary with both meanings, but when it's spoken in modern-day conversation, you'll better understand their relation to the sentence in which it's used. "When an idea is wanting, a word can always be found to take its place." 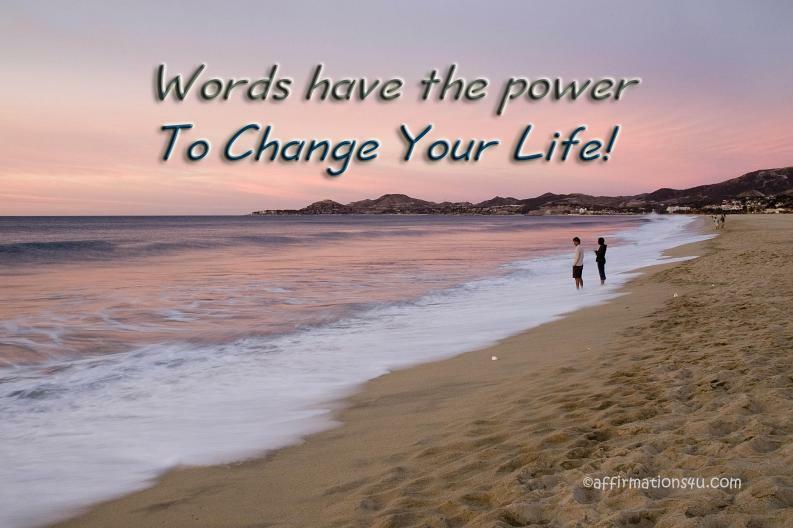 Do you know any words that have changed their meanings? I'd love to know your thoughts in a comment below. 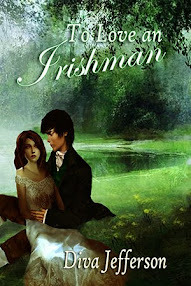 As you all know, I write historical romance. Although, I've written about the Regency era, I prefer the Victorian era. The fact women became more empowered definitely helped. As you can probably tell, I like change in my novels. Anyways, below I'm listing the movies (or TV-based shows) that I've watched on more than five occasions for use in research. I'm one of those multi-tasking writers, where I have to play a movie or music while putting words to paper. If I don't, let's just say I can't concentrate. It's one of those habits from my school days. I used to lay on my bed listening to CDs while I completed my homework every day. And yes, I did my homework before doing anything else. My dad set very strict rules about school. 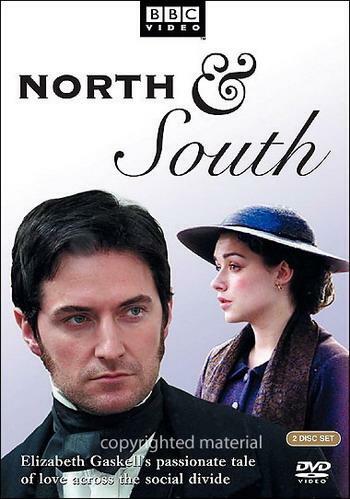 In this adaptation from Elizabeth Gaskell's novel set during the Victorian Industrial Revolution, Margaret Hale is forced to move to Milton, which is in the north. She takes offense to the people, and most of the time she does not agree with the handsome textile manager's, Mr. Thornton's, views. Although their difference in beliefs overwhelm them, there is a chemistry that ignites their passion. In my opinion, this story is timeless. So much happens in the character's minds and through their actions. If they never spoke another word, I'd be unhappy, but I'd know what they were feeling. I love watching this and using it's techniques in my own story. Not only is the setting Victorian (which works for The Earl's Son's time-period), but I could watch this movie over and over again without getting tired of it. 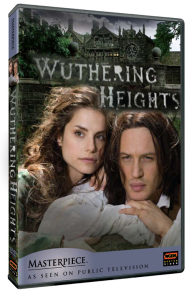 Given the choice between a life of comfort (with Edgar Linton) and a profound love (with Heathcliff), Cathy's actions have repercussions for multiple generations in this haunting story of turbulent passion and revenge. In my opinion, ever since I read this book in high school, it's become a wonderful influence. I love Gothic romance. I think writers can learn from writing tragic love affairs. Just look at Shakespeare. We love our readers to feel emotion when they read our books. If they don't have the ultimate experience, then what is the point? Oh, and I bet you didn't know that I'm reputed for my "beautiful landscapes, passionate romance, and regrets of the past". 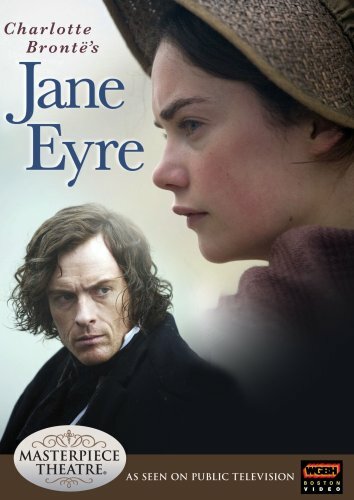 After taking on a governess position in the home of a mysterious man, the orphan Jane Eyre must learn the truth in order to gain his acceptance. Mr. Rochester does not take wish to tell his secrets, but unlikely events pull them together. In my opinion, I absolutely loved this book growing up. Not only has the 'mysterious man' approach shown up in my books, but the intrigue is too much to ignore. Jane's life didn't not start out great, nor is she the most beautiful woman around, but until you meet someone like Mr. Rochester and have a love so great no one can come in between, you realize nothing else matters but love. Love inspires me greatly. In my opinion, this movie is full of witty dialogue, and shows the social life women led in the time before the Industrial Revolution. The acting is superb. I absolutely love the inclusion of piano playing and singing. Not to mention, they perform great songs. Royal Navy captain Wentworth was haughtily turned down eight years ago as suitor of pompous baronet Sir Walter Elliot's daughter Anne, despite true love. Now he visits their former seaside country estate, rented by his brother-in-law, admiral Croft, so the financially stressed baronet can afford a fashionable, cheaper residence in trendy Bath. First the former lovers meet again on the estate, where they feel vibes again, but neither dares admit them until it seems too late. 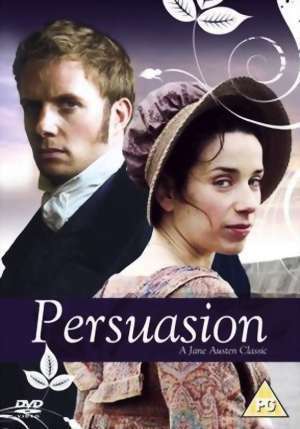 In my opinion, this is my favorite Jane Austen movie adaptation. I loved Pride & Prejudice, but in no ways are the character's emotions unspoken. I think Anne is a sweet lady, caught up in circumstance, and Wentworth is not only handsome, but worth the wait. For anyone who ever had to love someone from afar (ME!!! ), then this is the movie for you. Thank you so much for reading. Please feel free to share your favorite movies and music in a comment below. I'll look forward to reading them. Hello, everyone! There is so much to talk about in the world today. A lot is happening right now and it's hard not to state my opinions on so many pressing matters. 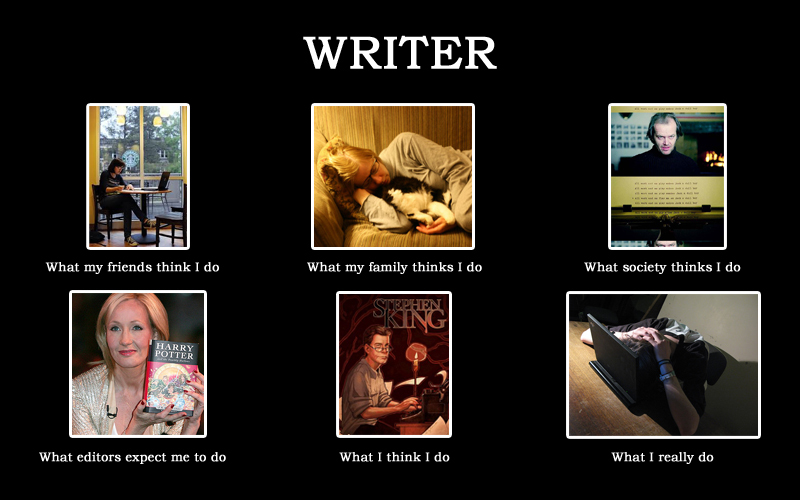 Luckily, this is a blog about writing, and I love talking about that! Writers have degrees in English literature (or the like). I'm not saying don't ever go to school and acquire a degree in your field. Sometimes taking the courses can give you a better understanding of your craft. Many writers take creative writing to supplement their learning. Although, writers do like to maintain professionalism with their work, not everyone has a degree in English literature. College is a great expense to those who haven't had the opportunity or time to attend. There are published writers out there who challenge themselves every day to study English grammar, or take free workshops on writing, to further their knowledge without ever taking a step into a college classroom. Writers have read all the classics. You know, all the classic literature from Dickens to Shakespeare to Austen to Poe. Of course, we have a genuine interest in all these books and what they could teach us, but sometimes we find our time limited to just writing. Wouldn't you rather us write our next novel or read Great Expectations? Personally, this is why they make a movie adaptation. So, writers like me who like the story lines, could watch the movie and write at the same time. Writing is not a real job. A job according to dictionary.com is the material, project, assignment, etc, being worked upon. Even if you write for fun or for class, you are still working on something so therefore it's a job. After all, a project that can take up to six months to complete is definitely worth noting. Anyone can be a writer. Yes and No. Yes, because like the sayings go everyone has a book inside them or a story to tell. No, because many people do not have the drive or the extreme ambition to work hard enough to achieve success. Yes, there is potential for money, because it is a job, but not everyone is born with the ability to write a great story. A writer is a scribe. Some one who is able to relate stories in a manner that everyone can remember. Those who have the passion will study the craft and write every day. Those who don't, well their books just remain inside them. Do you have what it takes? Here is a popular meme about being a writer that is floating about cyberspace. Be proud to be a writer. Don't allow your family or friend's misconceptions about your life's work doubt what you love to do. Tell people about your books. You can either be your own worst critic or you could be your best marketing tool. Just think about the possibilities you have. For now, I'm off to eat lunch. Thank you so much for reading. If you have any other misconceptions to share, please feel free to tell us in a comment below. 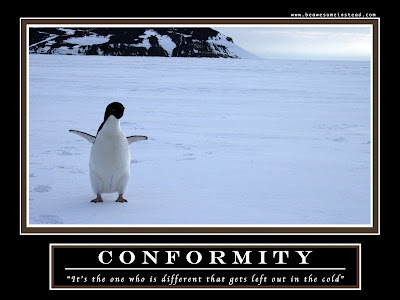 Last week I read an article about an author who changed their book's genre in order to make a sell. I have mixed opinions about this matter. I am a firm believer in not conforming to society. For those who feel they should change their book for a specific publisher who accepts manuscripts out of their league, I think this is qualified as cheating. Why don't you leave the genre alone so others who are passionate about it could get a step in? Instead, you strip your novel of important elements and pawn it off with another name. As a historical romance author, I will NEVER write to impress a market nor will I change a piece for someone else's benefit. I want to sell my work to those who'd appreciate my stories the way they are as much as I do. On the other hand, if you are not already an established author, then changing your genre is a part of your growing process. Some people find their niche after they've written dozens of books about something else. Say you've loved fantasy all your life, but the right story doesn't come to you until ten years later. Well, you've wanted to write this romance for a while now, so you do that, and it sells. Then the fantasy idea comes along and you write a great story that you want to pitch, but your name is attached to romance. You could a) get a pen name, b) stop writing romance, and focus solely on your fantasy career. I would totally go for the pen name idea, because you never know if your original name gained a following or not. Your readers come first. The wedding plans are coming along. I am waiting to go visit the ceremony location sometime this month. So, until that happens, I can't do anything else. The two works in progress are going along smoothly. I've hit over 20,000 words in Loch Lomond, and over 10,000 words in The Earl's Son. Wish me luck! Thank you so much for being patient with me and reading this far. YOU rock!